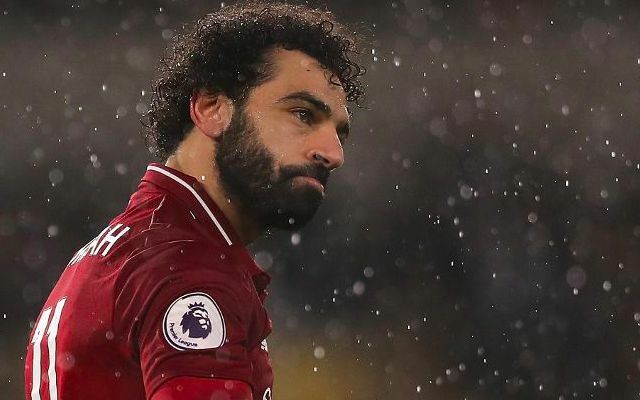 Mohamed Salah has taken a step away from social media by deleting his Twitter and Instagram accounts. The Liverpool star’s unexplained decision to do so arrives a day after he left supporters puzzled with a somewhat cryptic tweet. Whilst several theories have inevitably already been doing the rounds, it remains unknown as to why the Premier League’s top scorer has opted to go offline. Salah’s long-running dispute with the Egyptian FA stands as one potential explanation, with the forward having been openly critical of the treatment he received in 2018. The Reds’ talisman was left angry over the lack of response to his complaints over the unauthorised use of his image on the side of a plane provided to Egypt by the official team sponsor WE. His disapproval stemmed from his deal with rival telecoms company Vodafone and the potential commercial complications this could have caused. A difficult summer on and off the pitch also saw the 26-year-old photographed with controversial Chechen leader Ramzan Kadyrov, who has been subject to allegations of violence against gay people and violations of human rights. Salah subsequently released a strongly-worded statement in disappointment over being used as potential political propaganda. Of course, there remains the possibility his step back is purely in view of a quieter life away from spotlight.